Tranquility uses Orly polishes for standard manicures and pedicures. Orly is one of the world’s leading brands which, in addition to creating a stunning look, is formulated to protect your natural nails. 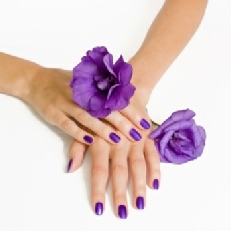 For that extra element of style and for greater longevity IBD Gel Treatments are perfect. Lasting up to 2 or 3 weeks Gel nails come in a stunning range of colours which can even be over-painted for a night out and then brought back to the Gel colour for work the next day. To complete the hands Orly Rich Renewal hand cream relaxes, hydrates, revitalises and smooths the skin.